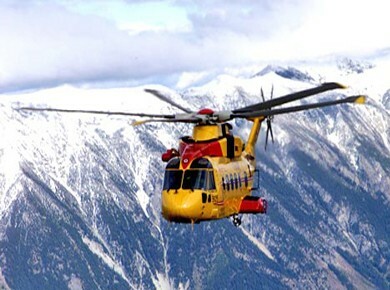 The Canadian Beacon Registry is an integral part of COSPAS-SARSAT, the search and rescue satellite system designed to provide distress alert and location data to search and rescue authorities. The Canadian Beacon Registry is co-located with the Canadian Mission Control Centre (CMCC) at CFB Trenton, for use by responders in search and rescue operations. When a 406 MHz emergency beacon signal is received, search and rescue authorities at CMCC can retrieve information from a registration database. This includes beacon owner contact information, emergency contact information, and vessel/aircraft identifying characteristics and equipment. Having this information allows search and rescue services to respond appropriately. It is mandatory for all 406 MHz ELTs (Canadian Aviation Regulations 605.38) and EPIRBs (Ship Station (Radio) Technical Regulations, 1999) to be registered with the Canadian Beacon Registry. Ensuring that your 406 MHz PLB, ELT or EPIRB is registered, as well as updating the information regularly, will facilitate the task for search and rescue personnel in the event of a distress situation. Registering your beacon helps to eliminate false alarms, which divert search and rescue resources away from genuine emergencies. Aircraft Rescue: ELTs are specifically designed for use on aircrafts. They can be activated automatically under the force of an impact such as a crash, or manually by someone aboard. Vessel Rescue: EPIRBs are designed with a variety of features that include either manual or automatic activation. There are float free models, some with integrated strobe lights and most come with a lanyard to secure to a life raft. Only 406 MHz EPIRBs are authorized for use in Canada. Land Rescue: PLBs are portable units designed for land based activities such as hiking, camping, climbing and canoeing. PLBs can only be activated manually. Some newer 406 MHz PLBs include an integrated GPS capability, which allows GPS position data to be included in the distress signal message.